Sam Heughan Puts His Buff Biceps on Display in Gym Selfie with Tom Hopper! Sam Heughan is looking super buff! The 38-year-old actor jetted to Budapest this week to work on a new movie and got in a workout with his pal, Black Sails actor Tom Hopper. 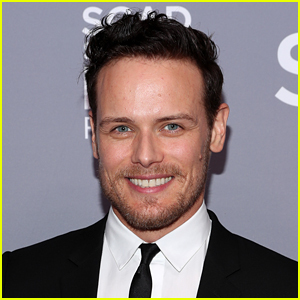 Be sure to catch Sam in season four of Outlander, which just premiered this past weekend. The show airs on Starz every Sunday. If you missed it, Sam was just voted Just Jared‘s Sexiest Celebrity of 2018! 'Game of Thrones' Actor Tom Hopper & Wife Laura Give Birth to Second Child - Find Out Her Name! 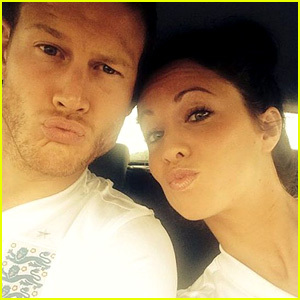 Tom Hopper and Laura Hopper are now the proud parents of a baby girl! The couple confirmed that they welcomed their second child together, a daughter, in a series of posts over the weekend. And her name is…Truly Rose Hopper! “So my amazing wife @laurahopperhops gave birth to our second beautiful child. “I feel like the luckiest guy on earth. There is no feeling like the skin on skin i’ve had with our beautiful children after their births. An immediate and unique bonding process that is the most beautiful of moments to experience as a parent. Their hearts beating next to yours for the first time, and your body warmth keeping them comfortable and secure. A true blessing to be able to give and it’s nature at its finest,” the actor, who plays Dickon Tarly on Game of Thrones, wrote on his Instagram. They also have a three-year-old son, Freddie. Congratulations to the happy family! Emily Ratajkowski goes glam on the red carpet as she arrives at the premiere of her new movie I Feel Pretty on Tuesday night (April 17) at the Westwood Village Theatre in Westwood, Calif. The 26-year-old actress showed off her super toned tummy in a sparking black gown as she was joined at the premiere by her co-stars Rory Scovel, Tom Hopper, and Adrian Martinez. Other stars at the premiere included Olivia Culpo, Gillian Jacobs, Amanda Peet, Tess Holliday, Eliza Coupe, Paul Downs, and Catt Sadler. I Feel Pretty hits theaters on Friday, April 20. FYI: Emily is wearing a Michael Kors dress and Ana Khouri jewelry. Gillian is wearing a Sandro look. Olivia is wearing an Ester Abner gown. Tom is wearing an Etro look. 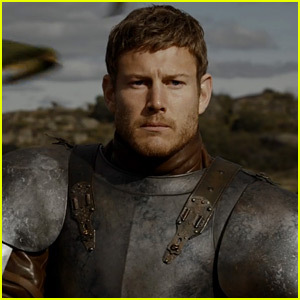 Tom Hopper joined the cast of Game of Thrones this season as Dickon Tarly and he had his biggest episode yet during last night’s fourth episode of the season! The 32-year-old British actor replaced Freddie Stroma, who was unable to return as Dickon due to his commitments with ABC’s Time After Time. We’re not going to spoil you on what happened during the episode, but Tom got the most screen time he’s had so far! Prior to his work on Game of Thrones, Tom was best known for starring in Starz’ Black Sails. Make sure to see his super hot shirtless photo shoot from last year!